Explore Amelia Island's surroundings by going to Crooked River State Park (in St. Marys) and Jekyll Island Historic District (in Jekyll Island). 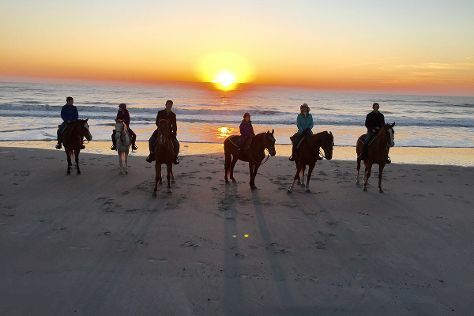 There's still lots to do: take a pleasant ride with Amelia Island Horseback Riding, learn about all things military at The Maritime Museum of Amelia Island, have fun at Central Park, and contemplate the waterfront views at Egan's Creek Park. Inspirock's itinerary builder makes planning a Amelia Island trip simple and quick. If you are flying in from Puerto Rico, the closest major airports are Jacksonville International Airport, Daytona Beach International Airport and Savannah Hilton Head International Airport. In February, plan for daily highs up to 24°C, and evening lows to 12°C. Wrap up your sightseeing on the 10th (Sun) early enough to travel back home.